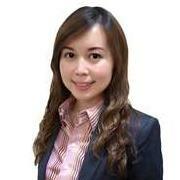 Malaysia Real Estate Agent / Property Negotiator Evonne Yen's Property Listings | Metro City Realtors Sdn. Bhd. I am a professional senior negotiator from METRO CITY REALTORS SDN. BHD. Owners that would like to rent or sell your properties in KL / Selangor area, kindly contact me to market and list for you. I provide professional consultation and service to buyers that would like to buy properties (new developments / subsale) in Malaysia / oversea for own stay / investment as well. Please contact me (Evonne Yen)(PEA 1504)now at 019-2113882 or evonneyen28@gmail.com for professional consultation and friendly service. Thank you.